Pathos Ethos Integrated Amplifier. Available with Online Finance and Free Delivery. The Pathos Ethos Stereo Integrated Amplifier responds to what has been, for years, lifestyle addicts' dilemma: contemporary design or high-end sound? Based on the acclaimed Pathos hybrid circuit with tube pre stage and MOSFET power stage, this integrated amplifier is capable of 100W per channel. But that's not all... With the optional HiDAC 24/192 DAC the Ethos features the capability of importing 24-bit 192kHz digital signals from digital players and other digital devices, and converting them to music of uncompromised quality. 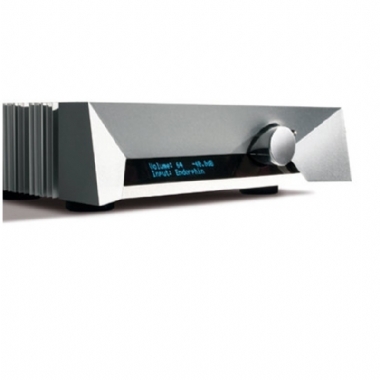 Ethos is one of the new breed of highly versatile integrated amplifiers from Pathos. With high output power, analogue balanced inputs, optional USB DAC, the striking new Ethos is good enough sonically to appeal to the discening purist, while offering lots of extras to interest those looking for something more versatile. Power: 100 Watts/8 Ohms, 200 Watts/4 Ohms, 270 Watts/8 Ohms when switched to Mono.